Spectacular setting for an unforgettable wedding. 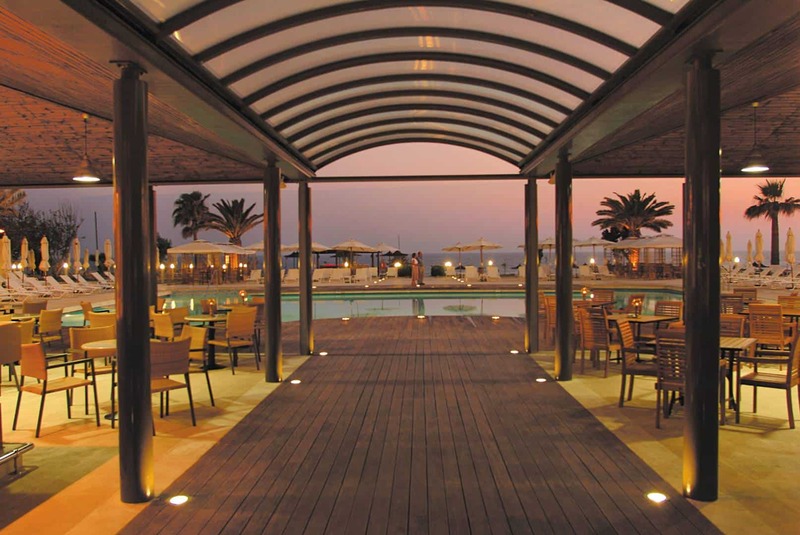 In a prime beachfront location in Pafos, this hotel is equally valued by couples and families. A variety of room types and a rich entertainment programme make it a destination for all ages and occasions. 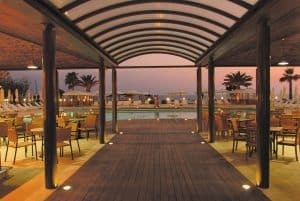 It is only a 5-minute drive from the town centre and 11km from Pafos International Airport. 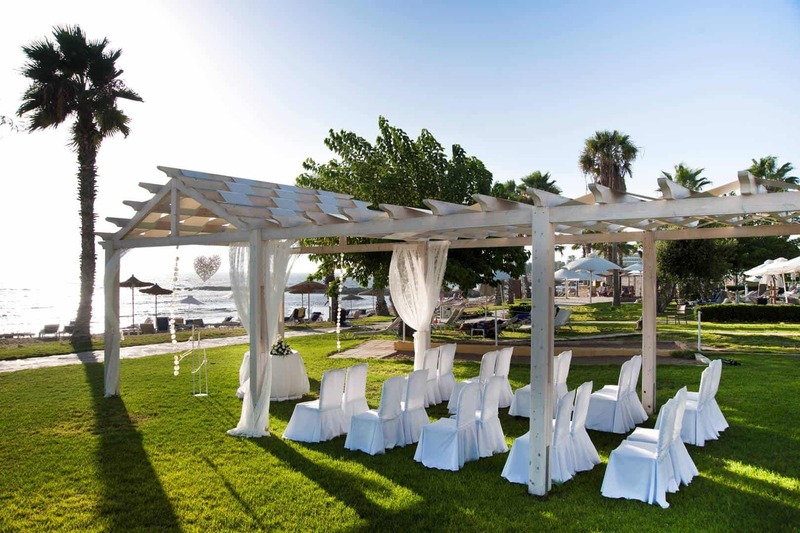 Set up includes: Ceremony table with white skirting, one fresh flower arrangement on ceremony table and up to 30 chairs with white cover (additional chair covers over the first 30 is charged €1.50 each). 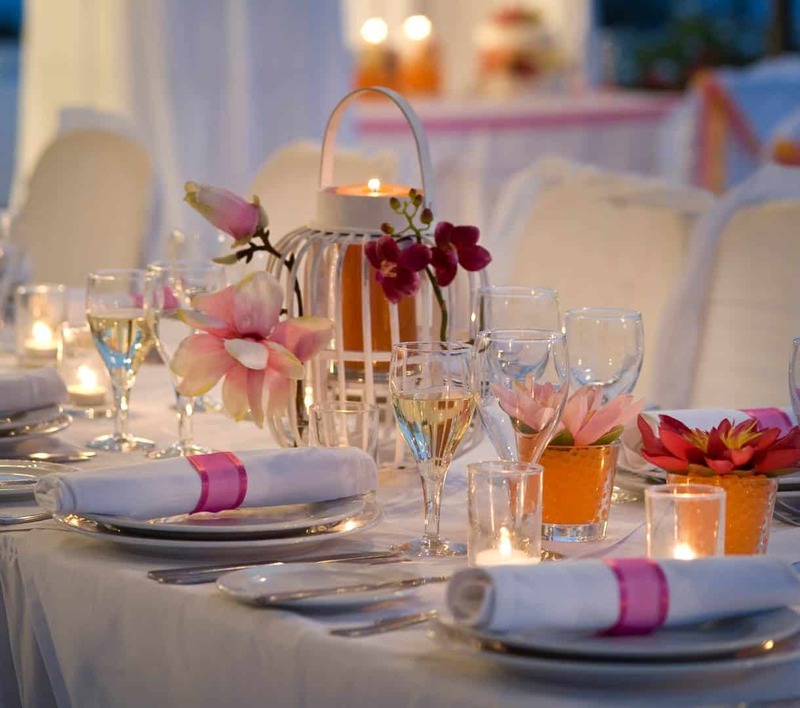 Set Up Fee: No, unless wedding reception invitees are less than 30 persons, in which case a set up fee of €185 will apply. 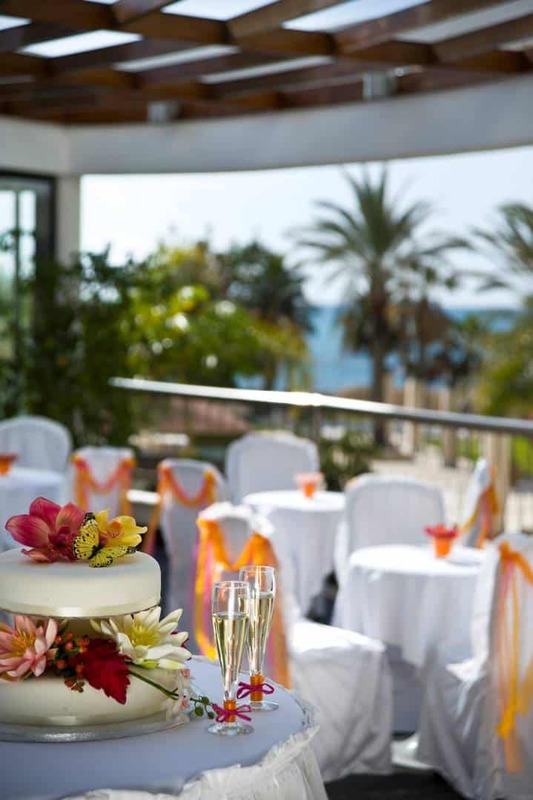 We were due to celebrate our Tenth Wedding Anniversary in July and were married back in 2006 at Ledra Beach Hotel. 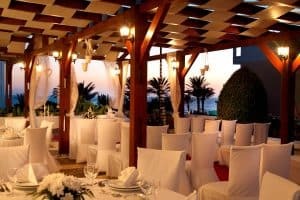 We emailed the Manager to request a return visit just to look around the areas we utilised during our Wedding Ceremony. 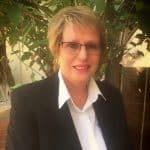 He granted us permission – bearing in mind the Hotel is All Inclusive – and was on hand to greet us upon our arrival and we were treated to a Tour of wherever we wanted to go as well as Complimentary Drinks and Lunch. We were escorted by himself to the Dining Rea where we had a very nice table and the Food was delicious. There was no pressure to leave and the Manager and His deputy took time and effort to ensure our visit was nothing other than very very special. An excellent Memory and time that we will never forget. Thank-You Ledra Beach. Subject to hotel availability at time of check-in. Usually possible in March, April & November. Yes, we offer special stands for wedding dresses (In total 4 stands available – given to guests on first come first serve basis). Placed in rooms upon request only. 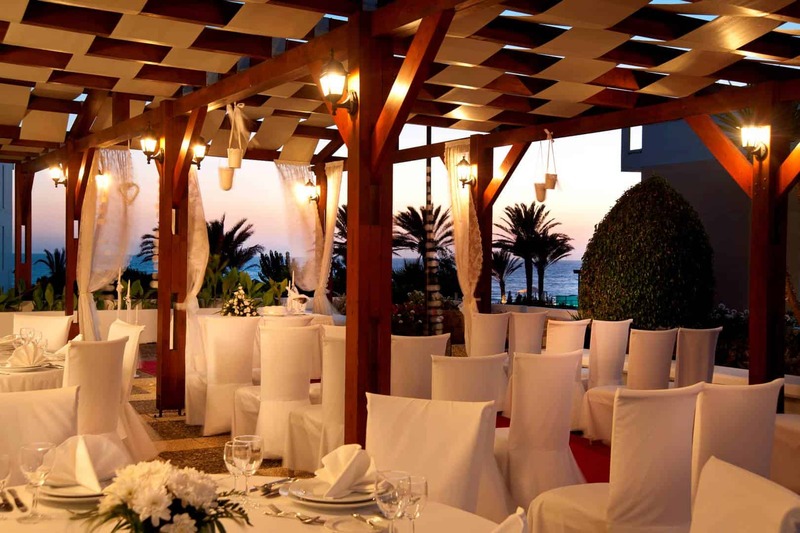 Yes, provided free rooms are available the day before the wedding (free of charge – on request basis). Yes, provided rooms are available the day before the wedding (free of charge). Up to 30 chairs with white covers. Any additional chair covers are charged €1.50 each. Yes, upon request, only at the ‘Aspelia Terrace’ or at the ‘Reception Terrace’ (not available at any other venue) – free of charge. Prices vary depending on chosen brand of sparkling wine/champagne. Current price of lowest priced sparkling wine is €35 per bottle. €85 for 2nd tier and €50 for any additional tier. 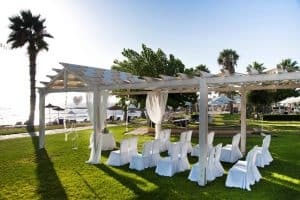 It takes place at the ceremony venues except if ceremony is held at the ‘Gardens Gazebo’ in which case the cake cutting is organized at any other available venue. AI (May-October), BB, HB & AI from November to April (hotel closed during December, January & February). Yes. 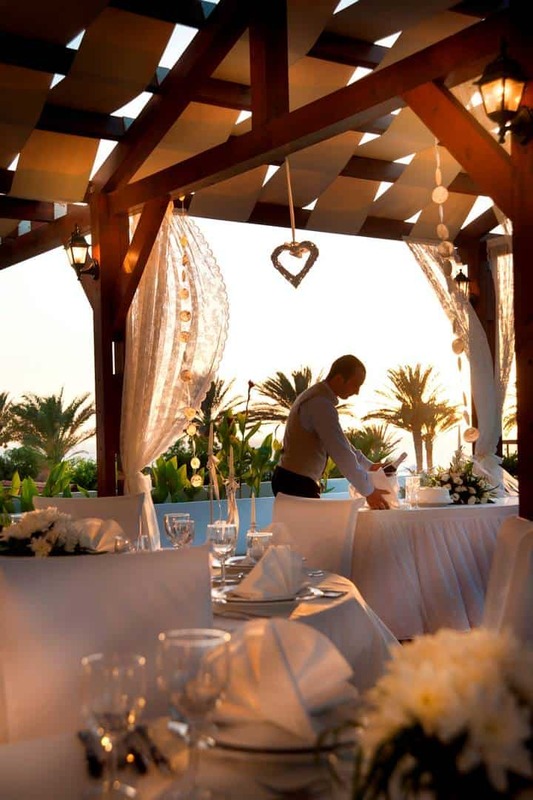 Wedding party can eat from the same All Inclusive dinner buffet provided on the night for all rest hotel guests. 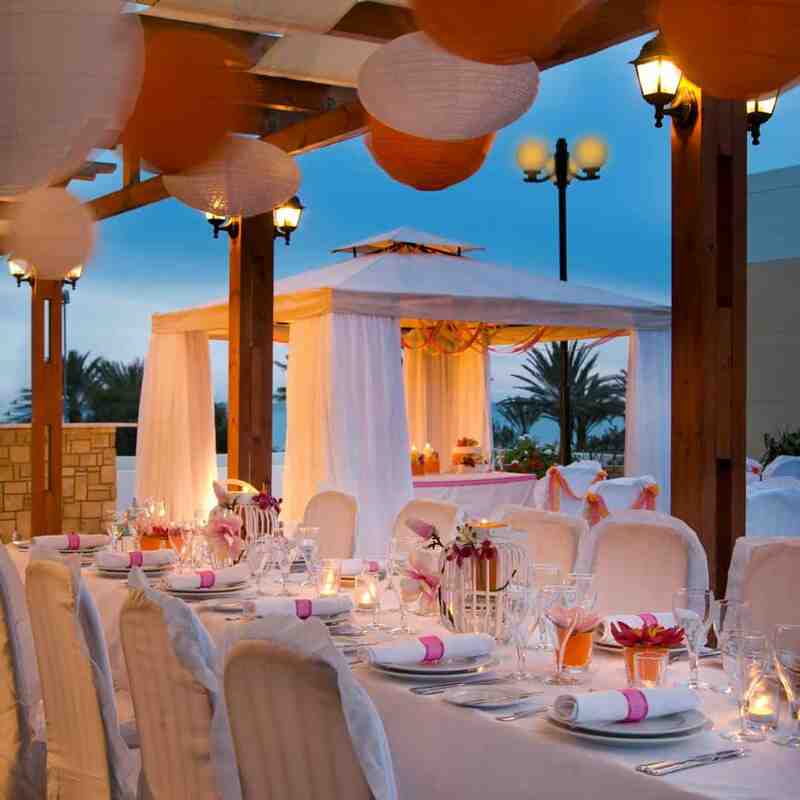 Note: this is not a private set-up/venue as it will be shared with the rest hotel guests dining in same restaurant. Current charge €55 per adult & €27.50 per child under 12yrs old (prices subject to small increase for 2017/2018). ‘Day Pass’ charges must be pre-paid before wedding ceremony. Note: ‘Day Pass’ includes only what is part of hotel’s All Inclusive package. If wedding couple chooses a private wedding menu, this is charged extra and discount is given on the above mentioned ‘Day Pass’ charges. No private venue for All Inclusive wedding receptions. 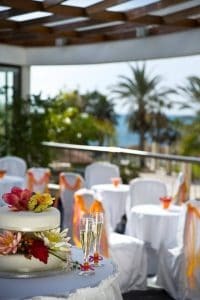 Private reception venue at the ‘Aspelia Terrace’ is free of charge provided a Private Wedding Menu is booked at extra cost (See menu options). 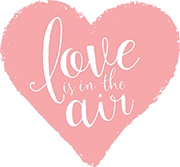 Extra charge of €185 applies for wedding parties fewer than 30 persons even when a Private Wedding Menu with charge is chosen. Yes (please see menu options). Extra charge of €185 applies for wedding parties fewer than 30 persons even when a Private Wedding Menu with charge is chosen. Yes, current charge is €30 per adult & €15 per child up to age 12. All inclusive drinks service stops at 12:00 midnight. Drinks Pass charges must be pre-paid before wedding ceremony. Yes, at the ‘Aspelia Terrace’. Yes but only in the ‘Aspelia Hall’ (indoors – Aspelia Hall is the only venue that can hold a DJ/band until 23:00hrs). If reception is held at the ‘Aspelia Terrace’ (outdoors) then background music with low volume can play up to 21:00hrs. Only at the private reception with low volume up to 21:00 (i.e. ‘Aspelia Hall & Terrace’). Yes, the ‘Aspelia Hall’, situated next to the ‘Aspelia Terrace’. Private Disco is allowed only when the wedding couple has booked at the same location for their private wedding reception (music stops at 23:00hrs). ‘Drinks Pass only’: €30 per adult & €15 per child under 12yrs old. Drinks only from the ‘all inclusive drinks package’ from 10:00 to 12:00 midnight.